Toe-sweating apprehension has swept through the yoga community faster than Colin Powell was able to say “weapons-of-mass-destruction”. The ground zero for this current alarm seems to be William Broad’s recent New York Times article. Along with his best selling book, Broad’s well-written treatises are laced with caveats upon which, at first blush, we all agree. The excessive panic that has struck the hearts and minds of yoga practitioners, however, merits a collective “Let’s just chill out for a moment”. Before we rush out to recycle our mats or obediently accept the mantra of go slow, go easy, don’t go deep, it’s necessary to take a closer look at what may really be the cause of injuries attributed to yoga practice. Many claims of yoga-induced injury are based on second-hand reports. A student relays an incident to a doctor who determines that a popular activity called “yoga” was the culprit. Multiple injury reports are then bundled together like bad mortgages being swapped by bankers into a cohort study, a statistical review containing a broad range of participants who indicated that they take yoga classes and concurrently experienced injury. A large cohort study, however, is incapable of assessing whether those reporting had proper training in yoga. Do the students and, more importantly, do their teachers understand and consistently apply the core principles of yoga or are these classes merely stretching exercises sandwiched between the first Om and a final Namaste? With the rise in yoga’s popularity, the number of people practicing is escalating at rates that would make Twitter’s new stockholders envious. Newly graduated yoga teachers are pervading gyms, schools and studios, equipped with only rudimentary knowledge of anatomy and body mechanics. 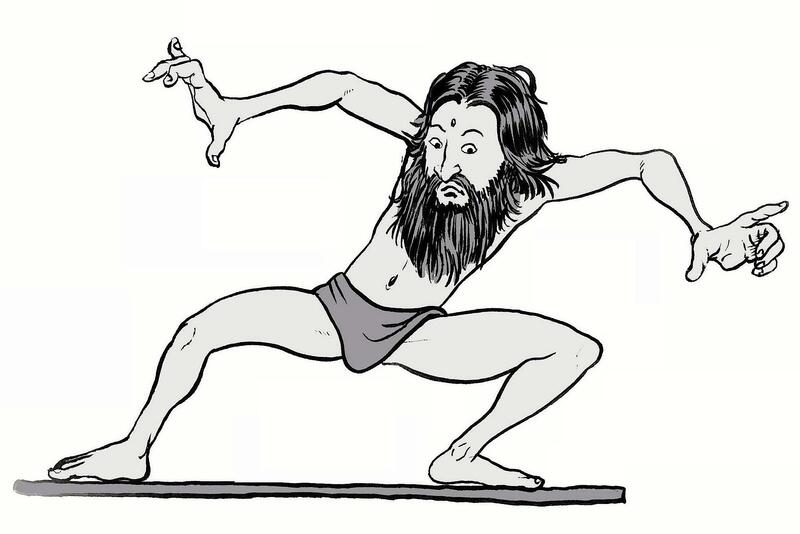 Mr. Broad in The Science of Yoga points aptly to the inadequate training of yoga teachers and their poor preparation for the wide range of humanity that comes through their doors. The degree of understanding of the human form that comes from years of personal study and practice is requisite for graduation in only a handful of schools. Based on my thirty-plus years of experience as a doctor of chiropractic and a yoga and anatomy teacher, I believe that yoga is erroneously being blamed for injuries for which it can, on the contrary, provide therapeutic relief. What makes yoga practice different from other floor exercise programs is that it is not merely a physical practice but belongs to a broader system dedicated to conscious awareness and ethical reflection. The royal, or Raja Yoga principles of Yama and Niyama are fundamental to what takes place on the mat. In short, the Yama principles instruct us to cause no harm to the body. Yoga postures are not forced to advanced forms by exploiting or stealing movement from the body’s more flexible regions to compensate for the absence of flexibility elsewhere. Strength is not used to obtain a pose when the finesse of flexibility is required; nor do we relaxedly hang out on overly flexible joints when strength and stability are necessary. We use wisdom, knowing that the value of a pose does not reside in how close we bring our nose to our toes but in the journey of how we get there. We strive for efficiency in our practice without causing stress or strain to our body structures. Physical fitness concepts like “no pain, no gain” and “always put your best foot forward” are disavowed and replaced with a deeper listening to our bodies and allowing our points of weakness to become stronger. Most of all, ego-gratification is kept from dominating our practice. In the most basic and practical terms, what brings the Raja to the mat is alignment. Alignment is the primary method of communication between body and mind in its purest state. A yoga practice dedicated to observing precise alignment will respect the body’s limitations while allowing the body to advance in postures safely and elegantly to their full potential. Alignment makes yoga practice a therapeutic experience, capable of healing old injuries and preventing new ones. A yoga class should not look like the back room of a human pretzel factory. A class that requires lightening-fast, quarter-breath transitions in vinyasa flow will unlikely allow the opportunity to establish correct alignment. A class of floor exercises in the guise of yoga that lacks a primary focus on alignment is, plain and simple, not yoga, but what I would call trauma-yama! Let’s get to the current hyperbolic call to alarm: yoga’s adverse effect on women’s hips. In his recent New York Times article, William Broad focuses on injury to the anterior portion of the hip joint that is caused by the upper femur bone rubbing against the rim of the hip socket. While this may be unavoidable for a small group of practitioners who have poorly formed hip sockets, it need not be the cause of trouble or a common occurrence for most people. The front of the hip joint is called the femoral triangle and its travails rival those of the mysterious Bermuda triangle. Thick tendons from the quadriceps, iliopsoas, and other hip flexor muscles crowd the space, not leaving much room for mobility. The powerful muscular forces produced by these massive legions of flesh can impact the integrity of any joint, even ones as large as the hips. Added to the hip’s challenges are its skeletal evolution from four legs to two. Back in the day, gravity’s constant downward pressure on the hip joints minimized the need develop strong structural support across the front of the hips, leaving the modern hip weakest portion on its anterior aspect. This is also the case in the shoulder joint. Are you aware of the design and mechanics of the hip ligaments? Do you know how to physically create space in the hips and align the joints? Have you learned techniques that stabilize the hip joint while safely stretching its associated muscles? With this knowledge, not only can yoga be practiced safely, it can be a therapeutic and healing experience. Without having clear answers to these questions, yoga practice will no doubt continue to be the cause of injuries. In his next article, Dr. Weiss offers alignment tips that will make yoga practice safe and therapeutic.